Green chillies (optional) – 2 nos. 1.) In case if fresh fenugreek leaves are being used, remove the leaves from the stem and wash thoroughly. Chop the leaves coarsely. 2.) 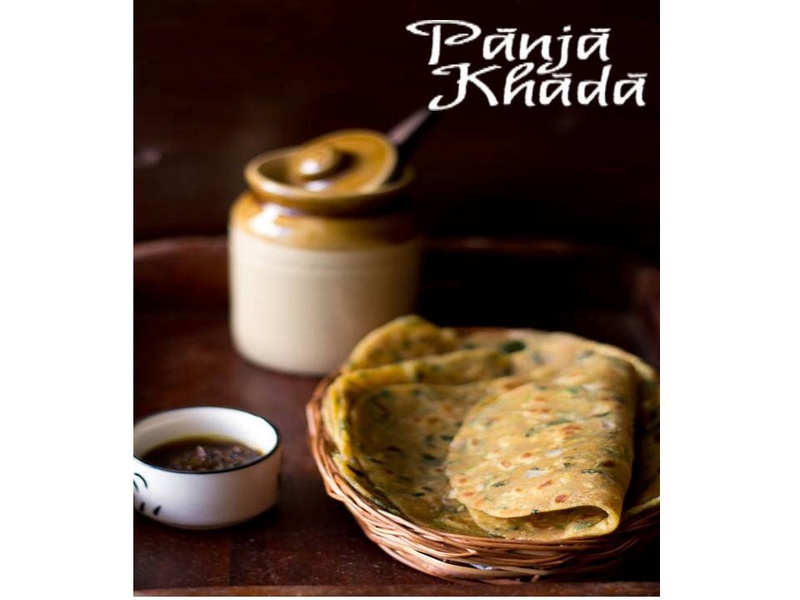 In a paat, combine whole-wheat flour, salt, chopped green chillies, fenugreek leaves and ghee or curd. (The ghee or the curds are added to the dough to enhance the taste and to make the Rotis soft.) Mix well. Add water and knead into soft dough. 3.) Divide the dough into 4 equal sized portions. Roll out into disc shape of 5” diameter. 4.) Heat a tawa on a medium flame.When hot, pour some ghee and bake the Rotis on both sides till they are well-cooked. Keep adding ghee at regular intervals till the Methi Roti is golden brown in colour. Methi Roti can be served for breakfast either with Dharan ji chutney, pickle, curd or Raita.